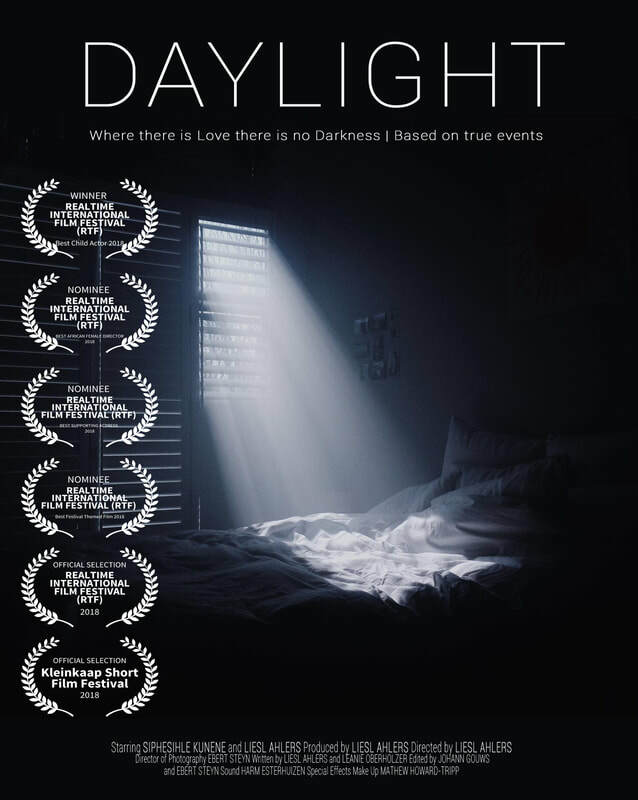 "Where there is love there is no darkness"
Daylight ​is a South African Awareness film based on true events. Directed, written and Produced by Liesl Ahlers. Daylight aims to shed light on the devastating amount of children in South Africa - who become orphans due to the HIV/AIDS epidemic. I wanted to tell the story from a 6-year-old boys' perspective and encourage viewers to see tragic events the way children do - they tend to have a beautiful ability to focus on the bright side. Daylight is a story of Hope - of seeing the Light in the Darkest of times. The ONLY reason I've ever wanted to be an Actor is to make people FEEL something. I want people to relate to the characters I play. My personal aim is to be a voice to the voiceless, inspire those who feel lost and uplift those who feel hopeless through the characters I portray and the films I make. I believe every role and film, no matter how "small", has the ability and potential to change someone's life. And I feel that is how we should approach every role and film we get to be a part of as Actors & Directors.